K9 UPDATE 11.04.19 – REUNITED! 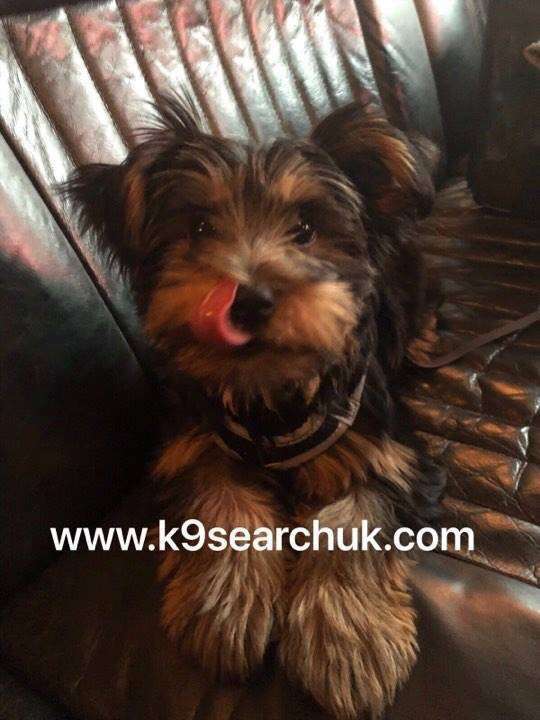 Ralphy was found in Wolverhampton, the finder took the pup to Willows Vets in Solihull. The vets followed stray dog procedure and reported to the local authority wardens. K9 had alerted all dog wardens to missing Ralphy, so warden Nicky contacted us straight away. Owner was informed and collected Ralphy a short time ago. Ralphy has now been microchipped. Thank you everyone out there for sharing our appeal. Ralphy was travelling with his owner at approx 11.30pm last night on No.87 bus going towards Birmingham , when his owner was attacked by another passenger and chased off the bus at Asda Cape Hill. Pup left on board.